GrowChurch.net came into existence on the 1st July, 2015 as a small virtual place for church leaders and pastors to share church growth strategies. I had no clue back then what this would become. Since then, GrowChurch.net has quickly grown to hundreds of how-to tutorials and articles, thousands of email subscribers and hundreds of amazing comments on each post. What’s amazed me the most is that this blog has become the single best community of church leaders on the planet. We call them the GrowChurch Champions and on almost every post they leave hundreds of helpful comments and interact in a friendly and loving way. Join 10,000+ others and get updates sent to your inbox. It’s free and you can unsubscribe whenever you like. My name is Simon Crowe and I’m proud to be from Leeds, a city on the heart of God’s very own county of Yorkshire, Great Britain. I grew up not having a clue about who God was. In June 1997 I was 12 years old and a friend of my mum’s invited us to watch a showing of ‘Heaven’s Gates & Hell’s Flames‘ and I was blown away. Tears streamed down my face as I accepted Jesus as my Lord and Saviour. This was the first time I’d ever heard I needed Jesus and though I barely knew anything that wasn’t in the illustrated Bible I once read, I was serious and even then, I knew this was a major turning point in my life. We immediately starting attending Victory Church, Leeds, a church part of a network of churches called Victory Churches International. I collided with precious Fatherhood of God and started changing me from the inside out. I grew up in that church and Victory Churches UK as a preacher, teacher, worship leader, youth pastor, tea maker, door holder – you name it, I’ve done it! Right from the get-go, God was speaking to me about missions and I felt a real call to the Asian mission field. In 2007 I went came to Thailand and studied Missiology (study of Missions) and Theology, graduating from Victory Asia Bible College in 2012. It was 2014 I finally made the move to Thailand as a serving missionary to support church planting efforts. Thailand serves as the hub of Victory Churches of Asia where we train pastors and church leaders to accomplish the Great Commission in their home nations. Today we have church planting movements, Christian schools, children’s homes, media and youth ministries all across the nations of Asia. The vision is huge and the task of the Great Commission even bigger and we need all the help we can get. Am I a master builder? An expert church planter? Not yet but one day I will be. I am determined to see God’s Kingdom established on this earth and I see no greater cause worth giving my life to than this. I do not claim to have all of the answers but my hope is that this site will become a great resource for pastors and church leaders, a safe space to share ideas and learn from, inspire and encourage one another onto greater works! If you are a senior pastor, worship team leader, youth pastor and children’s pastor then I’m confident you’re going to get a lot from this site. God has assigned the ultimate life or death mission to the church and through it, if we would rise up and be all that we could be and should be, we would be the greatest force for good this planet has ever seen. There are more churches now than at any other time. Due to huge technological advances, we have more opportunities to spread the life-giving Gospel of Jesus now than at any other point in church history. Jesus told Peter in Matthew 16:18 that on the rock, the revelation, the established truth that Jesus is the Christ, the Son of the Living God He will build His Church. I don’t care what organisation you’re affiliated with – whatever worship style, service format; this one truth is concurrent throughout all denominations – Jesus is the Christ, the Son of the Living God. It’s true – nothing has been able to come against the church. By rights it shouldn’t even exist; it’s had everything thrown at it and still prevailed in this truth. To His Kingdom there will be no end and it is God who establishes His church – in partnership with you and me. Yes that’s right. We are now the caretakers of the church. What will we hand over to the next generation? This is what GrowChurch is all about – growing and building strong, powerful and influential 21st century churches. 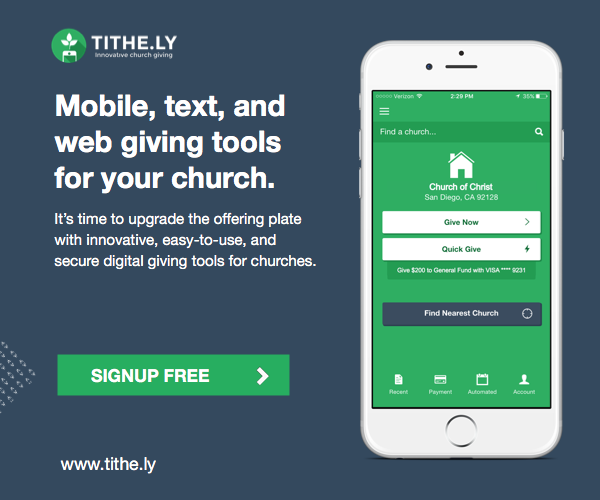 So if you’re serious about building your church you’re in the right place! GrowChurch.net is dedicated to resourcing, informing, and connecting a community of church leaders for greater Kingdom impact worldwide. On GrowChurch.net you’ll find engaging articles from today’s leading voices in the church, fresh ideas, current news, free resources, and a growing leader community, all geared toward helping you lead better. GrowChurch.net is not just for pastors but for every aspiring leader, volunteer, or staff person who desires to serve Christ and change the world for Him. Here’s to bigger and better churches, and making an eternal difference. Thank you so much for joining with me on this journey of learning all we can to build stronger, bigger and better churches; giving hope to the hopeless, loving the unloved and reaching the unreached. Everything I make from this site goes to support the missions work here in Thailand; to planting and growing churches and supporting Bible school students and raising leaders across South East Asia and around the world. If you’re looking for a place to begin then I recommend you read the Top Ten Strategies To Get More First Time People Into Your Church. Well, because this blog is all about helping you take your church forward. That’s why it’s called Grow Church! Join over 10,000+ others and subscribe to Grow Church for my email updates and you can unsubscribe whenever you like. I may be asking for help that is beyond mortal man. Anxiety days before a sermon that anxiety or even panic attacks during or after. This is nothing new. I begin preaching and teaching after feeling the call for a couple years. I was never a public speaker or liked it. It was 1990 at that time ten years after the work of salvation. I begin to preach and teach in a storefront church that another pastor had started. He had asked me to teach his Sunday school and preach when he was not there. It helped me a lot but still was stressful. We went from 40-100 people in a year. In two years we were 150 and in a 2 million building. I was still not relaxed teaching or preaching but wasn’t having panic attacks. The pastor then goes wacko and seemed threatened by me? He was one of the top preachers in out denomination in the country. I soon left and took my wife and daughter to a little country church. There the pastor who was getting older let me and another young man starting out take turns preaching once a week. That was fine for two years but I was having more anxiety and panic attacks. The other boy was his nephew so guess what…a threat again and I felt pushed out again. From there I went to preaching around in diffrent local churches when asked. I had been through a lot and was by that time almost 50 years old. I was sleeping very little, praying a lot and having panic attacks 2-3 times a day and at night. I was in the ER many times and got so bad at one time my wife and teenage daughter was sleeping with me in our car in the ER garage because I couldn’t go home until daylight and my wife was holding down a full time job and my daughter was in school. I finally sought help from a family doctor who put me a diffrent meds (some made me worst) until we found one that worked. I was advised to stop anything stressful and put on disability. It has been over 10 years. I am now 62 and still feel the call to preach.I can still feel anxiety thinking about walking into the pulpit. I know my Bible very well. I am a prayer warrior and have a deep burden for young people and the church as a whole. I want to start out again. Anyone had this problem and any ideas of what to do other then a healing I have been praying for now 40 years. Any advice would be appreciated. Feel free to email me. Hi there, it’s great to see you around the blog and I hope you’ve found tips and strategies that will help you in your new church plant. I’ve had to delete your email as I don’t want you getting bombarded with spam. 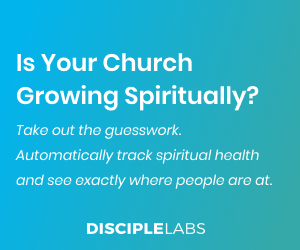 The purpose of GrowChurch and the amazing GrowChamps community is to help provide pastors and church leaders with some of the answers to our most common questions and to help identify and dismantle some of the biggest obstacles to church growth. We are an online community of church leaders for church leaders and we don’t currently partner with specific church plants. So please use this resource as a place to ask questions and get answers, to read and learn about what other leaders are doing to grow their churches and may I take this opportunity to wish you all the very best with your new church plant! Excellent work Simon, and i appreciate your talent in expressing yourself and the Word beautifully. I am from Delhi, India 55 yr old sales engg. guy who has got hooked to searching the TRUTH, through the christian faith i have grown into since my youth when i was active in a methodist church in Delhi led by an american pastor. After marriage and work pressures i have not been very sincere and faithful in attending except for past 15 years when i found a local church which interested me and drew me in and also gave me task of giving messages during the Lent cottage prayer meetings, as a lay preacher. This will be my 3rd year viz. I have given few sermons of 20-30 mts but not like any professional pastor, just talking about my experiences and exploration of the faith. This will be now another year and again i am anxious because this practice comes once a year hence not very habitual of such assignment of speaking in front of 40-50 people (on Christianity esp. though i can speak on my professional field quite well). Please do guide me and suggest some help. Thank you for sharing your story and for being open to allow God to use you. Your confidence doesn’t need to come from your own abilities (look at stuttering Moses) or from your own experience because it is just about allowing God’s Word to flow through you. His Word will never return void and it is the Holy Spirit’s work to transform people’s lives. Saying that, there are a few things you can do to communicate God’s message clearer and easier. By following a few simple steps to sermon preparation and delivery you can reduce your stress levels and prep time. I believe this will also give you greater confidence when preaching. Here is a free 10 day online Preaching Course that I know is going to help you a lot. Be blessed and always be open to new opportunities God puts your way! PLEASE I need to know if your 100 verses to memorize are NIV translation or What? Please asap send reply! Hi Judith, yes I believe most of them are NIV but probably best to check. Wow Ravi, that’s a great place to be in! Passion is the main thing, if you have that then others skills can be taught. Thank God that He has given you a fire to take God’s Word from the pages and turn them into life transformation! The best preaching training I’ve ever come across is Preaching Rocket by The Rocket Company (click for my full review). It’s a monthly paid course which you can try for free for 7 days. 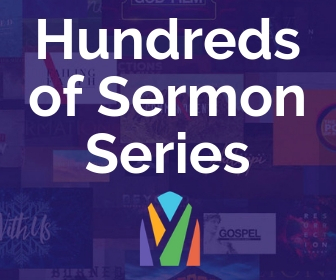 It comes with a community where you can ask for help with sermon outlines, getting a bottom line. It’s not just theory but it helps you to present better sermons. Check it out. Thanks Craig, really glad you find value here. My vision is build a great ‘go to’ resource for pastors and church leaders to help them get ‘unstuck’ and move their churches and ministries forward to advance the kingdom of God. I truly believe that if the church rises up to be all she could be and should be, this planet would be changed forever. 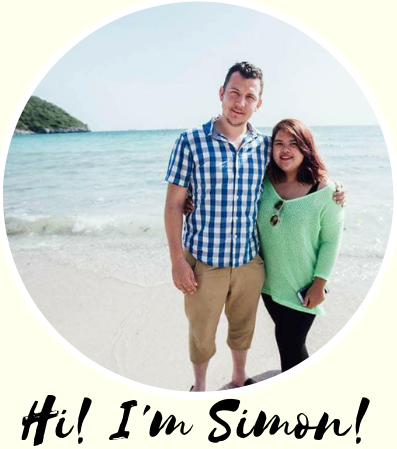 I fly out to Thailand next month, I am in the process of creating a separate website to keep people up to date with my missionary activities so watch this space! Excellent site you have here! I wish you much success on your mission and where ever life may take you. Kimber;y -thank you for your encouraging words! Be blessed! Just stopping by to check out the site. Looking good! This is a great “About Me” page. You really seem to have a knack for writing. I wish I had that gift. Anyway, keep up the good work!